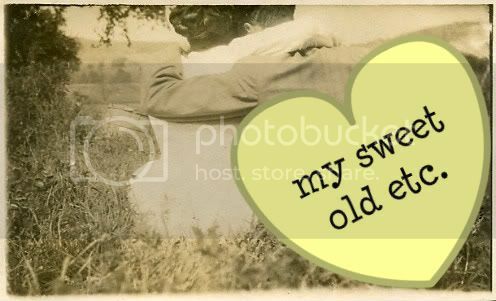 my sweet old etcetera: I ♥ U ... Srsly! I just had to post that picture, what with Valentine's Day so close to us. I love that cat not just for how cute he/she is, but because he/she reminds me of my own little kitty-cat, Tigger. He's white with black spots like this cat is, only he doesn't have that awesome heart-shaped spot. What are you doing for Valentine's Day? The boyf and I always try to celebrate it the day before, that way we get the restaurant of our choice without having to wait a gazillion hours, and then on the actual day, we just hang out together and whisper sweet nothings to each other ... and play video games and just relax. Tonight, he's planning on taking me to this Argentinian steak restaurant called Beefeater. It's got a frightening name, but I'm assured it's a classy place. (Gulp.) But seriously, I've been in a carnivorous mood all week, so I'm looking forward to it! The rest of the weekend, we plan on spending at his parents' apartment on the beach, just us two. I'll probably take some papers to grade, as progress reports are due next week to the students, and he will probably take his PS3. I will try to convince him to take my new-favorite obsession, "Rock Band." I love that friggin' game. It's turned me into a rockstar-diva (-wanna-be :p). I'm the vocals, Ricky's the guitars. We probably won't be exchanging actual gifts for Valentine's, since times are tough this year. My dad just got laid off this week from the furniture store where he worked and had to apply for unemployment benefits. Thankfully, he recently filed for retirement, so he'll be receiving additional funds from the government. But still... times are tough. So Ricky will be getting a hand-crafted gift from me. I have no idea what to expect from him... I always ask him the same thing, a love letter. I've yet to receive one from him. Speaking of love letters, my dear friend, Ann Marie, wrote an insightful post on love letters and why our men can't seem to bring themselves to write us one these days. I plan on writing one to the boyf this year in the hopes of inspiring him to create his own! This is the last of the three love letters written by Beethoven and were only found after his death. No-one knows who Beethoven actually wrote these romantic love letters although some guesses have been made. We will be adding some thoughts to our pages shortly to help you identify the secret love of Ludwig Beethoven and who he could have written these three love letters to. However even though they were written and he says he is going to put them on the mail coach they is no proof these romantic love letters were ever posted to the secret love of his life. It is my favorite of the most famous love letters. I hope you like it, too, and will share some of your favorite love letters with me. At my age I need a steady, quiet life - can that be so in our connection? What a beautiful post. I wrote Ted my first heartfelt love letter last year for Valentine's Day, and I plan on doing it again this year. I am sorry to hear about your dad...I hope he can find another job. Have fun at dinner tonight!! The love letter mentioned reminded me of an excercise we did in Spanish yesterday; we had to write a fake Spanish love letter using candy heart phrases and lines from songs... mine turned out more cheesy than the sappiest card you can think of with a whole case of Velveeta melted onto it. I swear, it was so much fun to write! Steak.. The Beach and Rockband sounds GREAT! Thanks for the shout out! You are such a cool girl..
@ g2: That assignment sounds fun! Why didn't my Spanish teacher ever give me assignments like that! @ Ann Marie: Happy Valentine's Day weekend to you, too! I'll be crossing my fingers for you receiving a letter also!